Nice website! 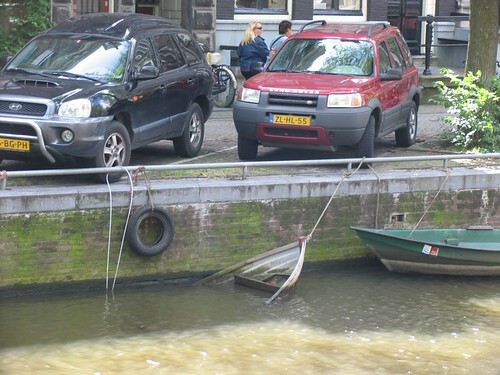 We are also very enthusiastic about sunken boats in Amsterdam. Unfortunately for you we have a different interest in them because most of the boats posted here have regained their “floating character” due to the fact that we lifted them out again… Thank you for linking our website, we will return the favor. And if you are interested to come out with us for a day of lifting sunken boats, do send us a mail Chef!